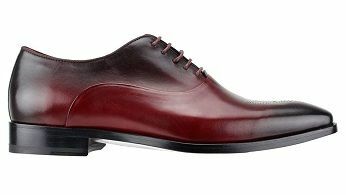 These Steven Land oxfords are right on trend with the faded style burgundy color on the shoe. These shoes will look great with a black suit or for a more casual look pair them with jeans and a button down and a blazer. Made of fine quality burnished leather.